This hotel is in Paris’s 14th arrondissement (district), just 5 minutes from Gaîté Metro station and Montparnasse Train Station. It offers free Wi-Fi and private parking on site. The contemporary rooms at Holiday Inn Paris Gare Montparnasse are air-conditioned and equipped with a flat-screen TV and a minibar. Each has tea and coffee-making facilities and a private bathroom. Le Parnasse restaurant serves a buffet breakfast every morning, from fresh French pastries to eggs. Guests can relax with a drink from The Scarlet Bar on the terrace or in the lobby. Next to several public transportation options, the hotel is ideally located for exploring the capital city. Sights such as Avenue Champs Elysées and Trocadero with the best view of the Eiffel Tower can be accessed directly. Just 1200 ft from Opera Garnier and 650 ft from shopping on the Grands Boulevards, Caumartin Opéra is a great base for exploring Paris by foot or by public transportation. A flat-screen TV and free Wi-Fi access is provided in the air conditioned rooms. Each is decorated in warm neutral tones and has a private bathroom with a hairdryer. A full buffet breakfast is served every morning in the colorful breakfast room. Room service is also available throughout the day at Hotel Caumartin Opéra. Havre Caumartin Metro Station is 750 ft from the hotel. Disneyland Paris can be accessed from Auber RER train station which is 800 ft away. The Louvre Museum is a 20-minute walk from Caumartin Opéra. In a 17th century building in the heart of the Saint-Germain-des-Prés district, just a 10-minute walk from The Louvre, this hotel offers air conditioned guest rooms and a courtyard garden. Guest rooms at Millésime Hôtel are elegantly decorated and feature bed linens by Pierre Frey. Each room is equipped with free Wi-Fi and a TV. Some rooms offer views of Saint-Germain-des-Prés Church. Breakfast is served each morning in the hotel’s breakfast room with an arched ceiling or in guests’ rooms upon request. Breakfast can also be enjoyed in the courtyard when the weather is nice. The front desk at Millésime Hôtel is open 24 hours a day and a concierge service is available. Free newspapers and a computer with internet access are offered in the hotel lobby. Metro Station Saint-Germain-des-Prés is 1200 ft from the hotel and offers direct access to the Montmartre district. Notre-Dame is a 15-minute walk away. This 3-star hotel is ideally located in the Gobelins area, a lively residential neighborhood of Paris. It features cozy and comfortable rooms decorated in pastel colors and facing private grounds. Some of the rooms at Le Vert Galant have direct access to the garden, enabling you to enjoy a moment of peace from the hustle and bustle of the French capital. The hotel also has its own restaurant, the Auberge Etchegorry, which has been owned by the same family for more than 50 years. The restaurant is closed on Sundays and Mondays. Le Vert Galant is only a few steps from the Denfert-Rochereau train station, making it easy to get around Paris. The hotel is less than half a mile from Corvisart and Les Gobelins Metro Stations. The Bridgestreet apartments are within 325 ft of the Champs-Elysées in central Paris. It features air-conditioned apartments with a full kitchen and a DVD player. All apartments at the Bridgestreet Champs-Elysées have modern décor with hardwood floors. Each studio features large windows and a queen bed. They come equipped with tea and coffee-making facilities, satellite TV and free Wi-Fi access. The residence is just under half a mile from the Arc de Triomphe and half a mile from Monceau Park. George V Metro Station is less than a quarter mile away, providing access to the Louvre Museum. In several locations in the heart of Paris' lively Marais district, these modern apartments are just a 7-minute walk from the Georges Pompidou Centre and Les Halles. The contemporary and stylish apartments have a kitchen, living area, private bathrooms and a TV with DVD player. Some are accessed by an escalator. Bed linens and towels are provided. Bridgestreet Le Marais is a short walk from Etienne Marcel Metro Station which has direct access to the Latin Quarter on Paris’s Left Bank. Welcome to one of the most exclusive areas of Paris!. Built in the heart of Paris, on a very quiet street and enjoying an exceptional location in the western business district, near the Arch of Triumph and the Champs-Élysées, the charming hotel Elysée-Etoile offers an enjoyable stay in its recently renovated rooms and the comfort of facilities that meet the highest standards. While staying in the Elysée-Etoile, discover some of the best local restaurants such as the Cave Lanzerac serving you classical dishes like gravlax, foie gras, chicken or lamb roast and beef steak and Les Fougères, a restaurant opened in 2006 which has already gotten very popular among the residents of the neighborhood. "Shopaholics" and fashion lovers might also linger in the local fashion shops where you will find famous French brands mixing embroideries and different materials in a feminine and original way. The Luxor Bastille Hotel is in the center of Paris between the Bastille Opera and the Gare de Lyon train station. The hotel has a 24-hour front desk desk. All rooms at the Luxor Bastille have a private bathroom with either a bathtub or shower. Rooms have satellite TV and are serviced by an elevator. Continental breakfast is served daily and guests are invited to enjoy the hotel’s terrace when the weather is nice. Wi-Fi is available in some areas of the hotel. This hotel is less than half a mile from Gare de Lyon Metro Station, providing direct metro access to the Louvre and Champs-Elysées. The Botanic Gardens and the Marais district are both a 10 minute walk from the hotel. Opéra Marigny is located in the 8th arrondissement (district) in Paris, between the famous Opéra Garnier and Place de la Madeleine. Its elegant 4-star rooms and suites are air conditioned and soundproofed. All of the rooms at the Opéra Marigny have flat-screen TV with satellite channels. Some rooms offer spacious bathrooms with a bathtub. Free Wi-Fi access is available in all hotel rooms. Guests are invited to read their free morning paper or magazine while enjoying a warm buffet breakfast in the dining area. The reception at the Opéra Marigny is open 24 hours a day and offers a concierge service. Opéra Marigny is centrally located in the French capital making it easy to visit major attractions. The avenue Champs-Elysées, the Louvre Museum and Sacre Coeur Basilica are less than 1.5 miles from the hotel. The 20 Prieuré Hotel is in the Republique district of Paris, just a 5 minute walk from the Canal Saint Martin. It offers air-conditioned rooms with a contemporary décor and free Wi-Fi access. The Paris-themed rooms include an LCD TV and a minibar. Some rooms have a courtyard view and all have a private bathroom. A continental breakfast is served daily and breakfast room service is available. The hotel also provides a 24-hour front desk. The Republique Metro station is just over a quarter mile from Le 20 Prieuré Hotel. It provides direct access to the Eiffel Tower, Place de la Bastille and the Eurostar terminal at Gare du Nord. This Radisson Blu hotel is located in the upscale 16th arrondissement (district) of Paris, with a direct view of the Eiffel tower, and walking distance from the Champs Elysées. Totally renovated by the famous designer François Champsaur, this contemporary and cozy boutique hotel features stylish guest rooms and suites. They are all equipped with modern private bathrooms and free Wi-Fi internet access. The Radisson Blu Paris Eiffel also features a restaurant that serves innovative cuisine. The bar area features a fireplace and offers a cozy place to relax with a drink. For relaxation, there is a swimming pool, a hammam and a massage lounge. Located within walking distance of the Trocadéro and the Rue de la Pompe and Trocadéro metro stations, this hotel is a great base for exploring the world's most visited city. Hotel Pont Royal offers elegant accommodation and free internet. It is in the trendy Saint Germain des Prés area on Paris’s left bank, near art galleries and the Louvre. Guest rooms at the Hotel Pont Royal are air-conditioned. They include a minibar, safe, flat-screen TV with satellite channels and modern private bathrooms. A full buffet breakfast can be enjoyed every day before work or sightseeing. Atelier St Germain de Joel Robuchon, the hotel’s restaurant, is internationally acclaimed and serves gourmet cuisine. The Pont Royal’s central location means guests can explore the city by foot or by Metro. Its rich history (it has welcomed famous artists and writers, including Albert Camus and Boris Vian) makes it the perfect place to experience this romantic city. Just a 15-minute walk from the Eiffel Tower and opposite Sèvres-Lecourbe Metro Station is Sublim hotel. It offers stylish rooms and a relaxation area with a hammam. Decorated in red and purple tones, the rooms at Sublim Eiffel feature free Wi-Fi access and a multi-jet shower with LED lights. Some rooms have a private balcony while the suites offer a whirlpool bath. A buffet breakfast is served every morning by the fireplace. The hotel bar is furnished in black and orange glass and fabrics. Here, guests can enjoy an aperitif before dining in the nearby restaurants. Other facilities include airport transfer and concierge service. Local transport links lead directly to Montparnasse and Trocadéro, which offers the best view of the Eiffel Tower. Guests can also walk to Hôtel des Invalides or Ecole Militaire in 10 minutes. Located in the historic district of the right bank, this hotel is set across from Palais Royal Garden. It offers modern guest rooms with a flat-screen TV and free Wi-Fi access. Each air conditioned guest room is equipped with a minibar. The guest rooms have a private bathroom equipped with a hairdryer. All rooms are serviced by an elevator. A buffet breakfast is served every morning at Best Western Louvre Piemont. Guests can enjoy breakfast while reading the newspapers provided. Palais Royal-Musée du Louvre Metro Station is just 853 ft from this Best Western hotel. Opéra Garnier is a 10-minute walk away. In the historic 6th district in Paris, this stylish hotel is just over a quarter mile from the Luxembourg Gardens. It offers air-conditioned guest rooms with a literary theme and free Wi-Fi access. Each room includes a flat-screen TV and an iPod docking station. The ultramodern rooms feature a large mural on the wall. Private bathrooms are decorated with colorful mosaics and some have a rainforest shower. A continental breakfast is served every morning at hotel Apostrophe. Guests can enjoy a drink in the uniquely styled hotel bar. The 24-hour front desk at the Apostrophe provides a tour desk and a ticket service. Vavin Metro Station is 230 yards away, providing access to the Latin Quarter with its many bars and restaurants. Montparnasse Tower is a 5 minute walk away. In the lively Marais district in central Paris, this designer hotel features a sauna and fitness room. It offers air conditioned guest rooms with free Wi-Fi access and a minibar. Satellite TV and a telephone are standard in each contemporary guest room. Some of the stylish rooms feature a sitting area and a private courtyard. A hairdryer is included in the private bathrooms. Cocktails are served in the bar lounge at Hotel Duo. A continental breakfast is served each morning in the bright dining room. Hotel de Ville Metro Station is just 450 ft from Duo hotel, providing direct access to the Champs Elysées. Notre Dame Cathedral is a 10-minute walk away. Clarisse is located in Paris, less than half a mile from Parc des Expositions and 650 ft from Square Georges Brassens. This classic hotel offers rooms with simple décor and free Wi-Fi access. Each room is equipped with a flat-screen TV with satellite channels and a private bathroom. All rooms are accessible with an elevator. Breakfast is served daily in at the Clarisse’s dining room. Guests can enjoy a drink in the Arlequin bar, which features a wide range of whiskeys. The hotel is 1200 ft from Metro Porte de Vanves, which has direct access to Invalides and Saint-Lazare. The T3 tramway stop is right across from the hotel. The Pullman Paris Tour Eiffel features a fantastic location next to the Eiffel Tower and has magnificent views. Free Wi-Fi is available. Rooms at the Pullman Paris have air conditioning, satellite TV and a minibar. Most of the rooms have a balcony with stunning views of the Eiffel Tower, Seine River or the Champs de Mars. A buffet breakfast is prepared every morning. Pullman Paris is on the Left Bank, just a 5-minute walk from the Eiffel Tower. It is conveniently less than half a mile from the Bir-Hakeim metro station (line 6), which goes directly to the Arc de Triomphe and Champs Élysées. In central Paris, this hotel is just under half a mile from Montparnasse Train Station. With a 24-hour front desk, it features a flowery patio and rooms with free Wi-Fi access. Each guest room comes with a flat-screen TV and a desk. All rooms have a private bathroom with a hairdryer. A breakfast buffet is served every morning in the stylish breakfast room at the Tipi hotel. After breakfast, guests can visit the market, which is on the same street as the hotel. The Luxembourg Garden is just under 1 mile from the Tipi hotel. The Gaité Metro Station is just just over a quarter mile away, providing access to the Champs Elysées. Public parking is available nearby. This hotel is located just 220 yards from Place d’Italie Metro Station. It is a 5 minute walk from the popular Rue Mouffetard, and offers free Wi-Fi in the guest rooms. Satellite TV is featured in all of the rooms at Coypel. Each is decorated in soft, yellow tones and some have a view of the boulevard. Fresh French pastries and fruit juice are provided for the continental breakfast. Guests can also order breakfast room service at the 24-hour front desk. The tour desk can advise guests on local attractions including The Museum of Natural History. The Jardin des Plantes botanic gardens are a 15 minute walk away. This luxury Paris hotel offers individually decorated guest rooms with flat-screen TVs, free Wi-Fi internet access and complimentary bathrobes and slippers. It is within walking distance of the Eiffel Tower and Champs Élysées. The Radisson Blu’s bar, Le Dokhan, serves a large selection of fine wines. The bar also offers daily champagne-tasting events and a choice of over 50 champagne brands. The Radisson is within walking distance of Trocadero, the Arc de Triomphe and the Palais des Congrès de Paris. There are several Metro stations near the Radisson Blu Le Dokhan’s hotel, including Boissiere, which is 330 yards away. This designer hotel is in Paris’s theater district, just over a quarter mile from Grands Boulevards Metro Station. It features a 24-hour front desk with a tour desk selling tickets for local shows and excursions. Each air-conditioned guest room at the Windsor Opera is unique and decorated in earthy, neutral tones. All rooms have their own bathroom with bathtub or shower. A buffet breakfast is available every morning at Windsor Opera. Guests can also enjoy a cocktail in the hotel’s funky bar. Additional services include a currency exchange service and arrangements for car rental. Airport shuttles can also be booked through the hotel. Musée Grevin wax museum is half a mile from the hotel and can be accessed by passing the nostalgic shops in Passage Jouffroy. Grands Boulevards Metro services lines 8 and 9 giving direct access to the Trocadero Gardens, Bastille Opera and Invalides. This InterContinental is located in central Paris, 650 ft from the Champs-Elysées. It has contemporary designed air conditioned guest rooms with LCD satellite TV, an iPod docking station and free Wi-Fi. The InterContinental Paris Avenue Marceau has an interior designed by Bruno Borrione and it offers a large bar, lounge and a terrace where guests can relax. Continental and buffet breakfasts are served daily at the hotel. The InterContinental’s restaurant serves international gourmet cuisine. Guests can also enjoy a large selection of room service options. The InterContinental is situated 650 ft from George V Metro, which offers a direct train to La Défense business area and the Louvre Museum. The Arc Triomphe is a 5-minute walk from the hotel. Offering modern guest rooms with flat-screen TVs and free Wi-Fi, this hotel is in the heart of the lively Marais district, a 10 minute walk from Place des Vosges. Rooms at My Hotel In France Le Marais are soundproof and feature satellite TV, a telephone and a desk. All rooms have a private bathroom and are serviced by an elevator. Free breakfast is offered each morning at My Hotel Le Marais. Guests are invited to enjoy a drink in the hotel’s bar and there are also vending machines available providing snacks and beverages. Free newspapers are offered each day in the hotel’s library and the front desk is open 24 hours a day. My Hotel In France Le Marais is 220 yards from Saint-Sébastien-Froissart Metro Station, which provides a direct transport link to Opera Garnier and Bastille. Hotel Marriott Paris Opera Ambassador is in the heart of Paris near the Opera Garnier and Les Grands Boulevards. Its stylish guest rooms have satellite TV and free Wi-Fi. Some have balconies overlooking the rooftops of Paris, the Eiffel Tower or the Opera Garnier. All of the rooms are air-conditioned and are serviced by an elevator. The 16 Haussmann, a renowned Parisian restaurant, features an exclusive range of creative French cuisine. The elegant Bar Lindberg serves hot and cold lounge meals and a variety of beers, cocktails and spirits. Combining luxury Art Deco has features from the 1920s and antique furniture with contemporary lighting and state-of-the-art amenities, the Hotel Marriott Paris Opera Ambassador provides guests with a comfortable and stylish place to stay in the heart of Paris. Near the François Mitterrand Library in Paris’s 13th district, this residence features luxury suites with a balcony, a work desk and satellite TV. Free Wi-Fi is available in public areas. The suites at the Park & Suites Paris Grande Bibliothèque also have a kitchenette with a Nespresso machine, a microwave and a refrigerator. Breakfast has been designed by the Pourcel Brothers chefs and includes Lucien Georgelin artisan jams, fresh fruit, pastries and hot dishes. Fresh organic fruit juice and Løv Organic teas accompany the meal. Drinks can be enjoyed in the Park & Suites Paris Grande Bibliothèque's bar, Le Comptoir. Guests can also relax in the lounge or on the terrace in spring and summer. Paris’ main attractions are easily accessible by foot or via the metro 14 and the RER C, and Avenue de France Tram Stop is 200 yards from the property. Guest can also enjoy the Grande Bibliothèque’s contemporary building itself, designed by the architect Macary. Just 55 yards from Oberkampf Metro Station, Mary’s Hotel is in the 11th district of Paris. It features a 24-hour front desk and free Wi-Fi. Cafés and shopping along Canal Saint Martin are 220 yards away. The soundproof guest rooms are simply furnished and have hardwood floors. Each has a TV and its own bathroom with a hairdryer and amenities. All rooms are serviced by an elevator. A continental breakfast is served daily at the hotel. A vending machine stocked with drinks is also available 24 hours a day. République Metro Station, just over a quarter mile from the hotel, provides access to 5 metro lines. Gare de Nord is one mile away. The Marais district is a 15 minute walk from the hotel. This charming and peaceful hotel is set by the Arc de Triomphe, near the Champs-Elysées, the Eiffel Tower and the Trocadero. The hotel offers excellent services and features large rooms. Rooms at the Hôtel de Sévigné are decorated with authenticity and comfort. They come with modern amenities including a flat-screen HD TV with satellite channels. A buffet breakfast at the Hôtel de Sévigné is served in the elegant ground-floor breakfast room. Paris’s attractions are all easily accessible by foot or via the numerous Metro stops surrounding the hotel. The Guimet and Galliéra museums are both located near the Sévigné. The Eiffel Tower is a 10 minute walk away and the Champs Elysées is a 5 minute walk away. This charming hotel is in the center of Paris’s famous Marais District, just 330 yards from the Ile Saint-Louis. It offers elegant rooms with flat-screen TVs. Hotel Saint-Louis Marais retains original features, such as exposed wood beams. The guest rooms come with cable TV channels and each has a private bathroom with hairdryer. Guests can enjoy a buffet breakfast every morning in the breakfast room, or a continental breakfast in the privacy of the guest rooms. Cold drinks, beer and wine are available in the lobby 24 hours a day. Facilities at the Saint-Louis Marais include Wi-Fi internet access, a business center and luggage storage. 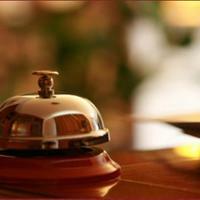 The hotel staff and concierge service are available 24 hours a day. Hotel Saint-Louis Marais is less than a quarter mile from the Place des Vosges, and the Place de la Bastille is just a 5 minute away. The Sully-Morland Metro stop is 170 yards from the hotel. Hotel Saint-Louis en L'Isle is in Paris, in the heart of Ile Saint-Louis, 800 ft from Cathedral Notre Dame de Paris and the Latin Quarter. It offers free Wi-Fi access. Each air conditioned and soundproofed room has a classic décor and exposed wooden beams. They are equipped with satellite TV and a private bathroom. An iPad is available upon request. Hotel Saint-Louis en L’Isle has visible stones walls, old terra cotta and oak beams making this place unique. An elevator serves all floors, including the stone vaulted room where a buffet breakfast is served daily. Its central location is close to places such as Hotel de Ville and Chatelet, less than half a mile away. Metro Pont Marie is 1200 ft from the hotel allowing guests to explore the rest of Paris. Intercontinental Paris Le Grand is located just 100 ft from the Opéra Garnier and Opera Metro Station. It offers 2 restaurants and a health club with sauna and massage treatments. Guest rooms at Le Grand come with satellite and cable TV and internet access. Some rooms also boast a view of the Opera House. Every morning a continental breakfast is served at the Restaurant La Verriere. Cafe de la Paix serves seasonal and traditional cuisine. The hotel is less than a 5 minute walk from the famous department store, Galeries Lafayette. The Avenue des Champs-Elysees is just half a mile away. This 18th-century mansion is in the heart of Paris, 1200 ft from the famous Place Vendôme. It features individually decorated guest rooms with period artworks. Formerly the property of Marie Antoinette's first lady, this hotel offers elegant guest rooms with a minibar. All air-conditioned rooms come equipped with cable TV. The private bathroom has a hairdryer. Wi-Fi access is available for an additional fee. Buffet breakfast is served every morning at Hotel Des Tuileries, and can be served in the guest rooms. After breakfast, guests can read the international newspapers provided in the lounge. Hotel Des Tuileries is located less than half a mile from the Louvre Museum, leading onto the Tuileries Garden. Pyramides Metro Station is 1300 ft away, providing access to the Opera Garnier and Printemps department store. This 19th-century building is in the heart of Paris, across from the Louvre and the Tuileries Gardens. This hotel is furnished with antique furniture, chandeliers, and artworks. Each air-conditioned room at the Brighton combines historic charm with modern comfort. All the rooms have a typical Parisian decor, antique furniture and paintings. It features views of the courtyard or the les Tuileries and a private bathroom and satellite TV. Hotel Brighton has a 24-hour front desk and a tour desk. There is an elevator, and Wi-Fi access is available throughout the hotel. Paris’s attractions are easily accessible by foot, but the Tuileries Metro Station is also just 55 yards from the hotel. Kube Hotel is a 4-star designer hotel in Paris. It offers spacious individually decorated rooms and suites with free Wi-Fi and features the exclusive Ice Kube bar. Each air conditioned room comes with a flat-screen TV with cable channels, video games and a private bathroom with luxury products. Access to rooms is via a digital fingerprint system. Breakfast is served daily and the Kube’s restaurant serves gourmet cuisine. There is also a gym with massage treatment and a 24-hour front desk with concierge. The hotel is just a 2-minute walk from La Chapelle Metro station. Guests of the Kube Hotel have easy access to the city’s main attractions including the Sacre Coeur, Moulin Rouge and the Pere Lachaise Cemetery. In the fashionable Marais district, Streets Hotel by Murano features modern, air-conditioned rooms with a DVD player and minibar. It is just over half a mile from Place des Vosges. 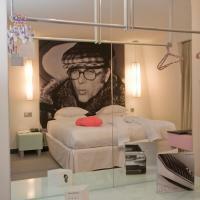 A Bang & Olufsen flat-screen TV is provided in each room at Streets Hotel by Murano. Some of the rooms feature a private swimming pool. Guests can chose their preferred pillow type from the pillow menu. Breakfast is served each morning at the hotel and brunch is available on Sundays. The restaurant serves American cuisine in a contemporary dining room with mood lighting and music. Guests are also invited to enjoy a cocktail in the bar and the in house DJ plays electo music every weekend. The nearest Metro Station is Filles du Calvaire, which is 500 ft from the hotel. From here, guests have direct access to Opéra Garnier and Galeries Lafayette. In a 20th-century building, this hotel is in the historic 6th district on the Left Bank. It offers soundproofed guest rooms with a DVD player and a minibar. Each air conditioned room has historic décor and includes an LCD TV and Wi-Fi access. Some rooms feature a sitting area. All of the rooms have a marble bathroom with bathrobes and slippers. A buffet breakfast is served every morning in the breakfast room at Victoria Palace Hotel. Enjoy a drink in the bar while reading the newspapers provided. A limousine pick-up service from the airport or train station is available upon request. The Victoria Palace also has a tour desk and ticket service at the 24-hour front desk. Saint-Placide is just 800 ft from the hotel, providing direct access to the Montparnasse district. The Luxembourg Gardens are half a mile away. The 3-star Hotel de la Bretonnerie is in the heart of the charming Marais district, near the picturesque Place des Vosges. Rooms are individually decorated and include free Wi-Fi access. The hotel is housed in a former private house dating back to the 17th century. The classic Parisian freestone façade leads to elegant and comfortable living spaces that have retained their original charm and character. The rooms are decorated with stylish furniture; some have exposed beams; others have a view of the lively Sainte-Croix de la Bretonnerie; and some feature a small living room area. The hotel boasts a central location and offers a truly Parisian setting with its cafes, flowering terraces and courtyards, as well as easy access to the entire city via the nearby public transportation network. Le Twelve is in the 12th district in the east of Paris. It is a 10 minute walk from Place de la Nation and offers modern rooms with Wi-Fi access. Rooms at Le Twelve are decorated in neutral tones and patterned fabrics. Each features an LCD TV and views of the street or the small courtyard. A continental breakfast is served daily in the breakfast room. Private parking is half a mile from the hotel. Porte de Vincennes Metro Station is 250 yards from the hotel and leads directly to sights such as the Louvre museum, Le Marais and La Défense business district. There is also a tram stop next to the hotel, which offers direct access to Porte de Versailles Exhibition Center. In the heart of the Latin Quarter, Hotel Vendôme Saint Germain is the ideal choice to reach the most popular attractions of Paris in a few minutes. The hotel offers comfortable rooms with a warm and friendly atmosphere and a pleasant decoration. Some of the rooms open onto a small flowered terrace. You can enjoy a drink in the hotel bar, and a continental breakfast is served every morning in the breakfast room at the Vendôme Saint Germain. Notre Dame Cathedral and the Botanic Gardens are both within a 15-minute walk from the hotel. Cardinal Lemoine Metro Station is just 95 yards away. Hotel Massena is a 10-minute walk from Opéra Garnier in the chic Madeleine district. It offers contemporary rooms with free Wi-Fi and a minibar. Rooms at Massena are decorated with the hotel’s signature color and offer a TV with satellite channels. Each is air conditioned and some have original wooden beams. The pink and gray breakfast room offers a continental buffet every morning. It leads onto the 24-hour front desk and lounge where guests can use the internet terminal. Massena is less than half a mile from Galeries Lafayette and Printemps department stores. Just a few minutes away is Madeleine church and Metro Station which leads to Place de la Concorde. Hôtel Crayon is located in the very center of Paris, .3 miles from the Louvre and a 5-minute walk from Châtelet-Les Halles Metro Station. Decorated like an artist studio, it also has free Wi-Fi access. Guest rooms at Hôtel Crayon are air-conditioned and equipped with flat-screen TV with satellite channels, a vintage telephone and safe. Rooms are serviced by an elevator. A buffet breakfast is served daily in the hotel’s renovated cellar. The front desk at Hôtel Crayon is open 24 hours a day and the hotel offers luggage storage, free newspapers and a laundry service. Tuileries Gardens are a 10-minute walk from the hotel. The Opéra Garnier and Galéries Lafayette department store are a 20-minute walk away. On the corner of the prestigious Place Vendome, this hotel offers refined guest rooms with free Wi-Fi access. It is a 5-minute walk from the Opéra Garnier. The air conditioned guest rooms at the Mansart are equipped with a flat-screen TV with satellite channels and a minibar. All rooms are decorated with antiques and include tea and coffee making facilities. Some rooms feature a DVD player. A continental breakfast is served every morning in the elegant dining room. Guests can enjoy a drink in the bar at hotel Mansart. Opéra Metro Station is 1200 ft away and provides access to the Louvre Museum. The Tuileries Garden is a 5-minute walk away. Just 50 yards from the lively Place d’Italie in the South of Paris, ibis Paris Avenue d'Italie hotel offers modern accommodations. All the guest rooms at ibis hotel are decorated in a contemporary style and have a private bathroom. Modern facilities include satellite TV and free Wi-Fi access. Before a day of sightseeing, guests can enjoy a breakfast buffet in the lounge area. Fresh fruit, pastries and crepes are served. In the evenings, relax with a drink at the bar, where snacks are available 24/7. This ibis is within walking distance of the metro station, providing easy access to the city’s top tourist attractions. Orly Airport is just 9 miles from the hotel and private parking is available on site. This hotel is in the very heart of Paris, on the prestigious Place de la République, close to all the famous landmarks of Paris. It has free Wi-Fi. The Hotel de l’Exposition République features soundproof guest rooms with satellite TV and private bathroom. Some rooms offer views of the boulevard and the Sacré Coeur, and some others overlook the interior of the hotel. Hôtel de l'Exposition has a 24-hour front desk and an elevator that can take guests to their rooms. Exposition République Hotel central location allows for easy access to all of the cities sought-after tourist destinations, by foot, such as, Opéra Bastille, the famous Marais district or Canal St Martin. Metro station République is 100 ft from the hotel and can take guests all around the city. Offering a warm and friendly welcome between Bastille and République, the renovated rooms at this hotel has a contemporary style and warm colors. Rooms feature free Wi-Fi and flat-screen TV. The ibis Styles Paris Voltaire Republique enjoys a central location in the heart of Paris. Guests will reach a Metro station in a couple of minutes, making it easy to get around the city. During a stay, enjoy the liveliness of this trendy district and the exciting nightlife of the nearby Rue Oberkampf. The ibis Styles Paris Gare de l'Est TGV is ideally in the center of Paris, across from the Gare de l'Est train station and five minutes from the Gare du Nord. Close to most of Paris’ major sights, enjoy the comfort of one of the hotel's 32 non-smoking rooms where you will find all the amenities you need for a truly relaxing stay in the French capital including a flat-screen TV. Set off to a good start every morning with a hearty breakfast buffet that will give you the energy you need for an active day in Paris. The hotel allows easy access to Montmartre, the Opera Garnier, the Bastille, the Louvre, the ethnic shops on Boulevard du Strasbourg and Passage Brady (‘Little India’) and the lively cafés along the Canal St-Martin. This All Seasons hotel is situated in the heart of Paris’ 9th arrondissement (district)near the Opera and Grands Boulevards. It offers comfortable and affordable accommodation. All Seasons Paris Lafayette Opéra features stylish and modern guestrooms equipped with private bathrooms, satellite TV and free Wi-Fi internet access. They provide functional living spaces for your stay in Paris. This hotel offers high-quality service and comfort. It is located just moments away from the area business center and major department stores. The ibis Styles Paris République is ideally in the center of Paris, close to the Gare de l'Est, Gare du Nord and Gare de Lyon train stations. Close to most of Paris’ major sights, enjoy the comfort of one of the hotel's 67 air-conditioned, non-smoking rooms where guests find all the amenities needed for a truly relaxing stay in the French capital, including a flat-screen TV. Set off to a good start every morning with a hearty breakfast buffet that will give the energy needed for an active day in Paris. With 5 metro lines nearby, the hotel allows easy access to Notre-Dame, Montmartre, the Opera Garnier, the Bastille, the Louvre, the shopping on Boulevard du Strasbourg and Passage Brady (‘Little India’) and the lively cafés along the Canal St-Martin. Just 100 yards from Pereire Metro Station, this hotel features an elegant interior garden and modern rooms with free Wi-Fi. Arc de Triomphe and the Champs-Elysées are one mile away. Each air-conditioned and soundproof room at Ampère has large double-glazed windows and a flat-screen TV with satellite channels. Each private bathroom is stocked with a bathrobe and slippers. Le Jardin d'Ampère serves a buffet breakfast in the restaurant or on the terrace. Guests can also enjoy a drink in the elegant bar which is bordered by the interior garden. Ampère provides private parking and has a 24-hour front desk service. Parc Monceau is one mile away, and a number of restaurants and cafés are within the hotel’s immediate area.